Gain braids together two stories on very different scales. 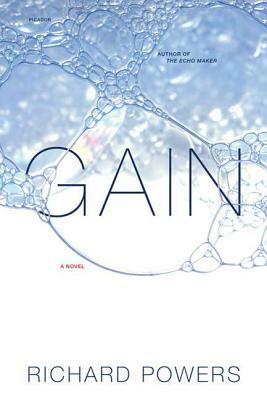 In one, Laura Body, divorced mother of two and a real-estate agent in the small town of Lacewood, Illinois, plunges into a new existence when she learns that she has ovarian cancer. In the other, Clare & Company, a soap manufacturer begun by three brothers in nineteenth-century Boston, grows over the course of a century and a half into an international consumer products conglomerate based in Laura's hometown. Clare's stunning growth reflects the kaleidoscopic history of America; Laura Body's life is changed forever by Clare. The novel's stunning conclusion reveals the countless invisible connections between the largest enterprises and the smallest lives.